The “answer from inside the email” NPS® survey. (not just the ULTIMATE ONE). can answer in just one click. Customize your own branded email and let us send using your data. Or embed our buttons into your CRM, Helpdesk or Outlook signatures. (Examples to the left). Your customer clicks or taps a single button on an email. The days of phone surveys are over. We are a world on the move – tablets, mobiles, laptops. If it carries email, Customer Thermometer will work. Long, multi-question surveys just don’t work any more. more testimonials and reduce your churn. Send yourself an NPS Thermometer survey right now. Net Promoter® Score surveys? No problem. 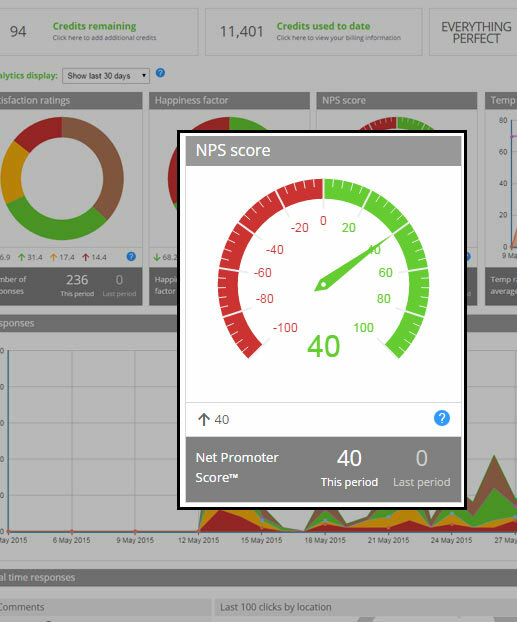 See who clicked what and generate a Net Promoter Score at high level or right down to individual level. The system can alert you to detractors by email or smartphone alert instantly. Our Mission Control dashboard visually displays your results and your NPS for the dates you set, all identifiable back to the person who clicked. Customize our templates to your brand and style. Use our library of icons and smileys or upload your own. 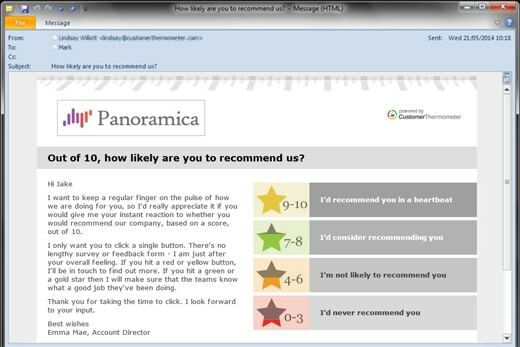 Your customer clicks directly in the email they receive and their NPS is recorded . No more “click this link to take a survey”. Customer Thermometer provides all kinds of surveying possibilities. NPS is just one. Our whole application is built around offering up to four possible responses. We allocate NPS scoring into those four. [percentage of GOLD responses – (percentage of YELLOW + percentage of RED responses)] = Net Promoter® Score. Within your Customer Thermometer account, you can show NPS for the whole account, within bounded time periods, for specific surveys, for individuals and you are able to compare different periods. 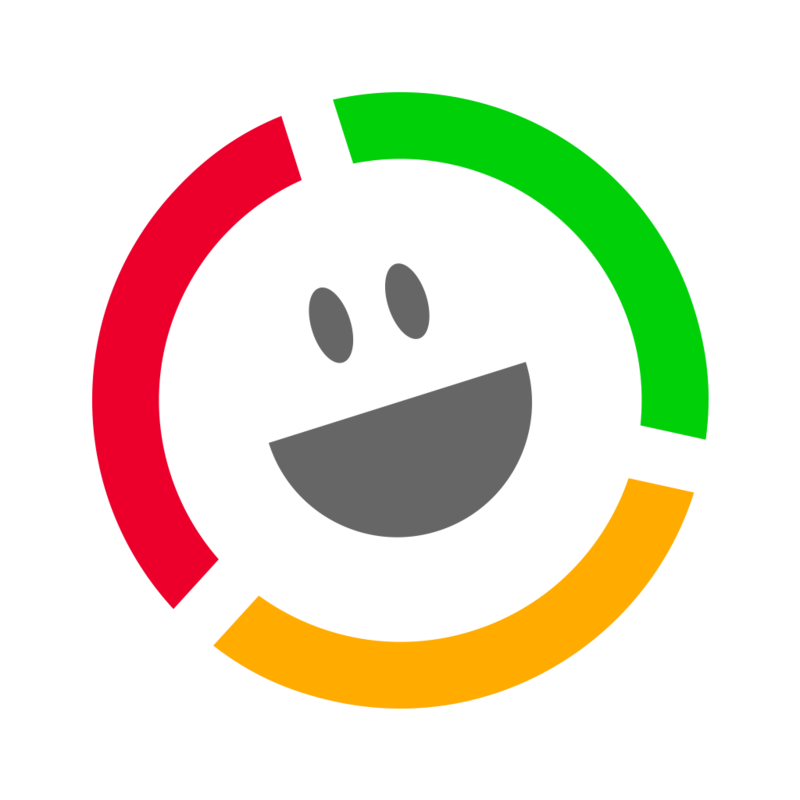 Want to give our Net Promoter Score survey a spin for free? Get a trial account now, no credit card needed. Start sending NPS (and other) surveys which get results, in the next 10 minutes. Before you start creating and sending NPS surveys, it makes a lot of sense to familiarise yourself with the basics behind Net Promoter Scoring. Here’s what you need to know. Net Promoter Survey is a popular management tool used by businesses all over the world to identify loyalty via relationships with customers. It’s an exciting alternative to traditional customer satisfaction research because it correlates so well with increases in revenue. In fact it’s used by more than two thirds of Fortune 1000 companies. NPS measures customer experiences and uses the information to predict growth. These days it’s the key measurement used by marketers and business leaders to drive their customer experience management programs. The score’s range runs from minus 100 to 100, measuring the willingness of people to make word of mouth recommendations about a business’ products or services. The results are used to gauge overall satisfaction and brand loyalty. How did NPS start? What is its history? How likely is it that you would recommend our (company/product/service) to a friend or colleague? If you’ve ever been asked this question online, you’re not alone. Billions of us have probably answered it, often more than once. Net Promoter’s inventors soon discovered that high NP scores tended to correlate with repurchases, referrals and other positive actions that drive business growth. The effect was so powerful that the question soon became a reliable proxy. These days NPS surveys are the prime business tool for those wanting to measure consumer loyalty. It’s the ultimate authoritative question to ask people when you want to gain meaningful insight. Net promoter survey usage is widespread. It is harnessed by businesses in the air transportation sector, heavy industry, fast moving consumer goods, retail, financial services and healthcare, by private and public sector companies, the tech and telecoms industries, and the media. Online giants like Airbnb and Amazon use it, as do digital marketing and comms platforms like Hubspot and Slack. In short, it’s universal. People who score their experience at 6 or below are your Detractors, those who score of 7 or 8 are your Passives, and people who award you a 9 or 10 are your Promoters. You calculate your NPS by subtracting the Detractors from the Promoters then dividing the result by the total number of people who responded. A score of more than 50 is ‘excellent’. A score of 70+ is ‘world class’. Global NPS standards regard any score above 0 as ‘good’, since it reveals that the majority of your customers feel loyal to your brand. In a nutshell the more Promoters you identify, the better shape your business is in. Here’s just one NPS survey example. You can read more on our Case Studies pages. Vanarama, the van hire experts, understand the importance of granular NPS feedback. They use our surveys to support customer lifecycle management excellence, collecting feedback at key touchpoints along the customer journey. 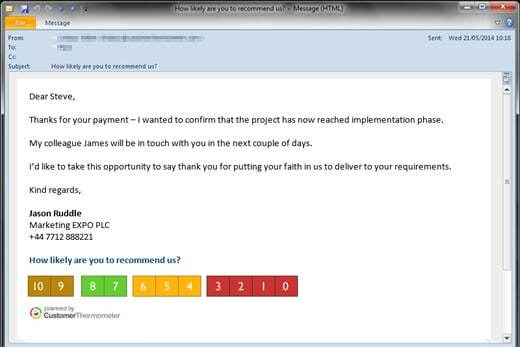 In their words it’s a “superb pulse on customer feedback.” You can read the full Case Study here. What are the top 3 reasons why people recommend or don’t recommend your business? It’s something every business owner, Marketing Director and CEO needs to know. The businesses that get the most out of NPS are those that take the data and map it back to their marketing and communications strategies, customer service best practices, and product development planning. It works because tracking how likely your customers are to recommend you is the first step to achieving a genuinely customer-driven culture, one that really is dedicated to continual improvement. Thanks to NPS they can hone their interactions with customers to perfection. They can use their scores to drive better product development, creating products their audiences actually desire, want or need. They can harness NPS to reduce the number of employees that leave, and to minimise the cost and inconvenience of churn. And it is a reliable indicator of increasing word-of-mouth referrals, a vital marketing channel. In our opinion, and that of a multitude of successful companies, large and small, NPS is the leading indicator of future business growth. The more advocates you have, the lower your customer acquisition costs, and the more successful your customer service team will be.